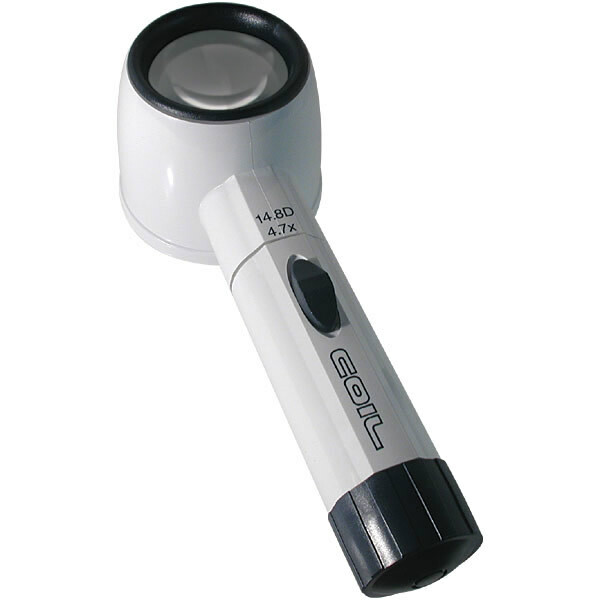 4.7X Hand-held magnifier (lens size: 44mm or 1 3/4 inches in diameter) with built-in light provides shadow-free and reduced glare illumination. It has a fixed-focus so it lays directly on the printed material. Requires 2-C Batteries (not included).